Shifting to gas: Malta’s energy game changer? Admittedly, the floating storage facility would ideally not be located near residential areas. The positive effects that electricity generation from a combined cycle gas turbine (CCGT) power plant may bring cannot be overstated – particularly when the price of Brent crude has remained significantly above $100 per barrel for the better half of a decade. With projects and developments of the magnitude envisaged it is not unusual to be faced with concerns regarding general safety and viability. While not wishing to enter into the merits, certain arguments are, however, unfounded, as for instance comparing an offshore gas storage facility built in close proximity to the CCGT power plant to the events that unfolded at Fukushima or Chernobyl. While in no way discrediting the potential or safety of nuclear energy – France after all built a thriving energy sector based on nuclear – it is an unconvincing comparison to the project that is being currently envisaging for Malta. More realistic arguments are those concerning the most practical location for the storage facility from a safety perspective and in particular the precautionary measures available. In this respect, both a stringent environmental impact assessment (EIA) and additional risk assessment are necessary. The alternative due to limitations on land would be to have the storage facility a considerable distance offshore which would probably involve a significant difference in delivery times and costs due to additional pipeline construction. Overall, while CCGT technology has been tried, tested and proven, serious consideration must nonetheless be given to the substantial maritime traffic that passes through Marsaxlokk harbour and the Mediterranean (approximately 15-20 per cent of the world’s shipping activities), in that a collision between a cargo vessel and a floating storage facility is a possibility both in harbour, as well as out at open sea. 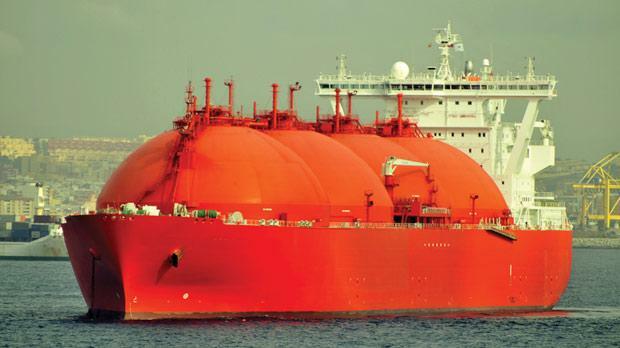 Alternatives to LNG imports have been voiced in the form of a gas interconnection pipeline to mainland Europe or Northern Africa. The advantages of this scenario are principally three: that pipeline gas in itself acts as a form of gas storage (called line-pack), which reduces the necessity of large storage facilities; that natural gas is usually cheaper than LNG when pipeline construction does not exceed 2,000 kilometres; and that piped gas (at least in theory) takes the form of electricity, in that it is available on demand without relying on LNG vessels that may be held up. Again, however, due to economic and time constraints a pipeline gas interconnection is not a realisable option in the short term (although it will become necessary for security and diversification of supply in the long term). A gas pipeline to North Africa would be ideal, as Egypt and particularly Algeria have a wealth of gas reserves. However, with the waters separating North Africa and Malta among the deepest in the Mediterranean, this is unlikely to be feasible considering the small market Malta offers. A gas pipeline to Sicily is a more viable option but still impractical due to time constraints, as construction of the CCGT power plant is on a tight schedule and needs to be completed and generating electricity before the decommissioning of the Marsa power plant by not later than 2015 (an EU obligation in accordance with the provisions of a directive limiting emissions from large combustion plants). In addition, from a geopolitical perspective, a gas pipeline does not allow for diversification of supply and no country ought to solely depend on the connected country without an alternative. LNG imports are therefore the only option for the immediate future, with gas pipeline interconnection likely to provide an additional source of gas in the more distant future. Attention also needs to be directed towards the long-term gas contract (LTGC) to be entered into between those generating electricity and those supplying gas and the possible arrangements available. LTGCs are usually entered into for a period of between 10 and 20 years with the gas price being linked to the price of oil throughout that period, a mechanism referred to as oil-indexation. While this has been the modus operandi for approximately five decades, recent years witnessed a sharp increase in LTGC prices based on gas-to-gas competition, a mechanism whereby the price of gas is linked to supply and demand fundamentals. Here the gas price works in a manner that does not distort competition, as frequently occurs with oil-indexation. From a regulatory perspective, the momentum (at least in Europe and North America) is undoubtedly towards increased gas-to-gas competition, although gas producers prefer the certainty of traditional oil-indexed LTGCs (referred to as take-or-pay contracts). The attraction of take-or-pay contracts from a gas producer’s perspective lies in minimum gas volume and price requirements i.e. the gas purchaser is bound to pay a price (which may fluctuate within an agreed band, as for instance between $12 and $16 per mmbtu) for the gas it does not take. The gas purchaser is still entitled to take the gas paid for at a later stage, but guarantees a regular cash flow to the gas producer. Oil-indexation functions well until oil prices rise in a volatile manner rendering oil-linked gas prices significantly higher than gas prices in spot and futures markets. The spot market is the daily market within which gas in traded, while the futures market consists of buying and selling of natural gas between approximately one month and 36 months in advance. These markets provide an alternative to traditional LTGCs, which, while reducing volume and gas price certainty for gas producers, generally results in more stable gas prices in the long-term. Indeed spot and futures markets are where the electricity price reductions resulting from a switch to gas become most apparent. The principle disadvantage here is that these markets are presently not as mature as those of oil products and may not, alone, provide a reliable source of gas. A combination of LTGCs, spot and futures trades are therefore more likely to deliver a realisable and advantageous scenario. The long overdue revamp of our energy sector has set the stage towards fulfillment of the three pillars upon which European energy policy is based: sustainability; security of supply; and competitiveness. Ultimately discussion on the best way forward must conform to Malta’s EU energy obligations, while appreciating the core social aims behind this transition in our energy market and energy mix – that of providing more reliable and cleaner energy at cheaper prices. Peter Grima is a lawyer specialising in energy law & policy at Fenech & Fenech Advocates.